Where are you? 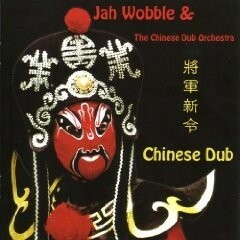 Home > Reviews > Jah Wobble & The Chinese Dub Orchestra - "Chinese Dub"
Developed from the Liverpool 08 Capital Of Culture commission and with strong input from Jah Wobble’s wife Zi Lan Liao (Guzheng) and the Pagoda Chinese Youth Orchestra, plus on ‘Dragon & Phoenix’ an appearance of Wobble’s sons. They were joined by visiting Chinese dancers and vocalists (the wonderful Gu Yinji and Wang Jinqi) plus Wobble’s regular touring band.